Origin and Habitat: Bolivia, typus location is in the Charcoma Valley, east of Tupiza but also present around Potosi. It is very likely that Trichocereus taquimbalensis from the region around those aforementioned locations is actually Trichocereus werdermannianus. Habitat and ecology: Echinopsis werdermanniana grows on hillsides at about 2600-3000 metres elevation together with Oreocereus celsianus. 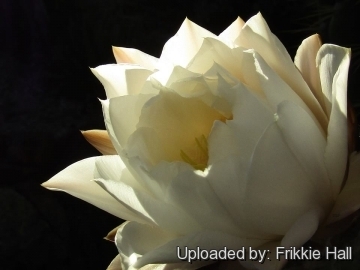 Cereus terscheckii J.Parm. ex Pfeiff. Echinopsis terscheckii f. variegata hort. Trichocereus terscheckii f. variegata hort. 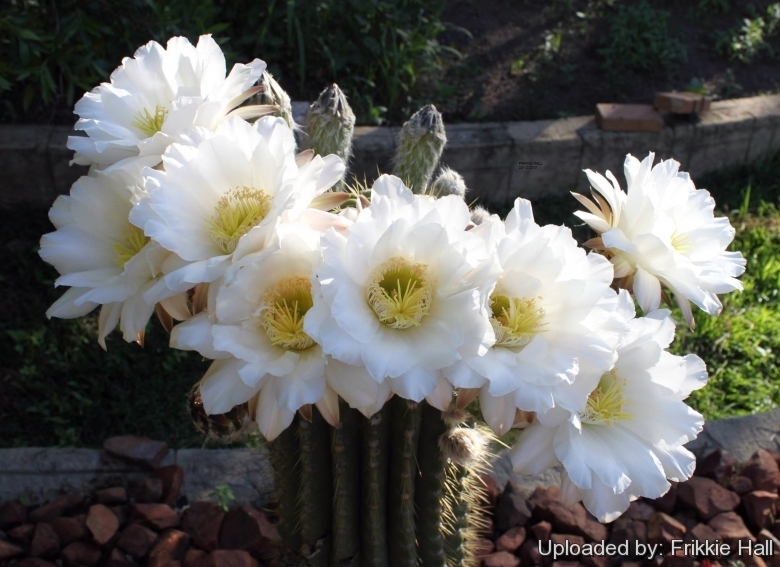 Description: Echinopsis werdermanniana (Backeberg) Friedrich & Rowley (Trichocereus werdermannianus Backeberg) is a large, handsome cactus that reaches 5(-8) m in height with a thick trunk to 60 cm in diameter and resembles Echinopsis atacamensis in habit, but is more massive and has comparatively few spines. Its fruits should be tasty. Derivation of specific name: This member of the Cactaceae family was given this name in honour of Prof. Dr. Erich Werdermann. Stem: Trunks to 1 m high and 65 cm in diameter, branches arising apically, more or less erect up to 15 cm thick very dark green. Ribs: About 10, later increasing to 14 or more, 2 cm high. 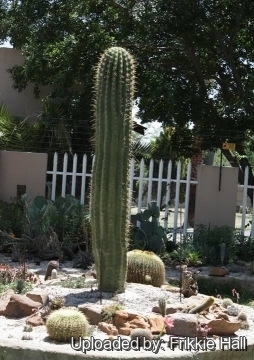 Spines: The spines looks like a mix of Trichocereus taquimbalensis and Trichocereus terscheckii, hardly distinguishable as radial and central, between 5 and 10 cm long, straw-coloured, yellowish brown or horn coloured. Central spine: 1 (or 2), robust, awl-like. 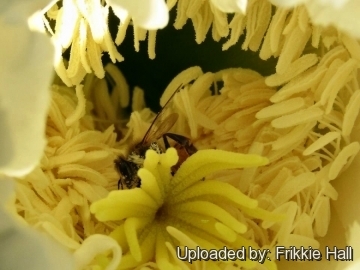 Flowers: Usually emerging from the top of the plant rather than at lower regions of stems. When numerous forming a ring around the apex. White about 20-22 cm long. Fruits: Spherical 3.5-4 cm in diameter with many white or black hairs. Seeds: 1.3-1,4 mm large, cap-like, rough. 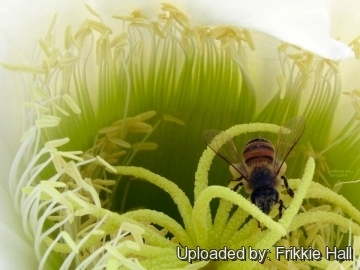 Taxonomic notes: Trichocereus werdermannianus Backeberg is an old name that is no longer accepted (nomen nudum... not a valid species). Plants corresponding the original type that Backeberg once called Trichocereus werdermannianus are approximately intermediate between Trichocereus taquimbalensis and Trichocereus terscheckii and now generally included within (as a synonym of) Trichocereus terscheckii, suggesting that there is not really a fundamental difference between the two. Regrettably most plants in cultivation under this name seldom match up to the original description, being usually raised from commercial seed which has often been wrongly identified. 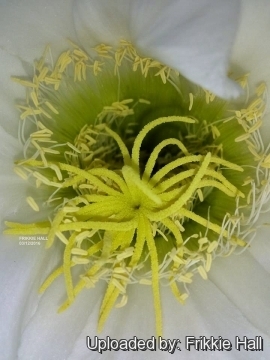 The plants labeled Trichocereus werdermannianus are usually misidentified Trichocereus taquimbalensis or Trichocereus tacaquirensis. Echinopsis terscheckii (J.Parm. ex Pfeiff.) H.Friedrich & G.D.Rowley: is a huge treelike cactus speciesat first columnar, and usually in age with numerous large arms, 10 to 12 meters high. Distribution: Argentina (Catamarca, Salta, Jujuy, La Rioja, San Juan and Tucumán provinces) and Bolivia (Tarija). Echinopsis terscheckii f. variegata hort. : variegated form. Stems have sectors, patches or stripes with distinct shades of yellow. 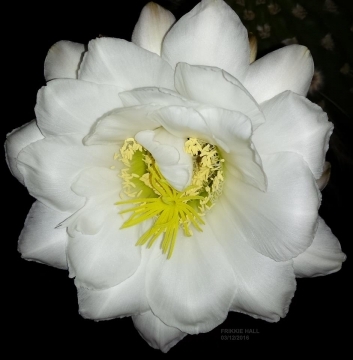 Echinopsis werdermanniana (Backeb.) 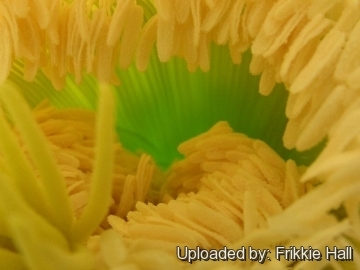 H.Friedrich & G.D.Rowley: has 10-14 ribs, 8 radial and 1(-2) central spines, flowers nearly apical up to 22 cm long. Distribution: Bolivia, Charcoma Valley, east of Tupiza and Potosi. 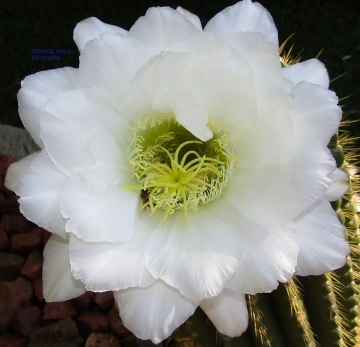 Hardiness: It is a very frost resistant cactus, hardy to -7°/-12° C. However in cultivation it is better not to expose it to temperatures lower than -5° C, even if in an aerated and protected location, in order to avoid the formation of anti-aesthetic spots on the epidermis. In presence of high atmospheric humidity avoid any frost as it is particularly sensitive to root rot.